The conscript soldier Oscar Ismael Poltronieri is Argentina's greatest living civilian hero. 12,13. No account on him can accurately describe the magnitude of his performance in the Malvinas and in life´s struggle. Like every hero, our man from Mercedes is kind and humble, lacking a desire of activism, which makes us want even more to tell his story. Oscar Ismael was born on February 2, 1962 at the Hospital Blas L. Dubarry of Mercedes, the first of the five children of Ismael Abel Poltronieri and María Esther Luciani. Of Italian extraction on both sides his family surname. Poltronierei is a surname can be found in 250 Italian communities especially in Lombardy, Emilia-Romagna and Veneto. Poltronieri´s father was a puestero ( responsible for the running of part of a large ranch) at the Santa Catalina ranch (Province of Buenos Aires). He grew up helping his father in rural chores. When his parents separated, he went to live with his mother in a house in the La Pampa Chica, a workers ´ neighborhood near the cemetery becoming for a time the man of the house. He abandoned the school and started shining shoes in the streets. His mother married a man named Cisneros and in the following years five more brothers were born. 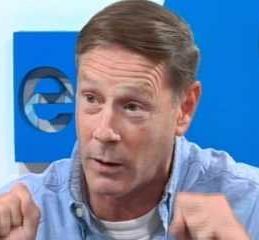 At age 13, he left for Roque Pérez to work in the field. He was hired to work in Martin Blaquier's La Biznaga ranch where he was assigned to the care of polo horses. Then he went to La Peregrina (Balcarce) owned by Road Tourism racer Juan Manuel Bordeu. At age 16 he was hired in Mar del Plata for working in cold storages at the San Cayetano fishing company. Being 19 years old, he showed up in the San Martin military district, as he was interested in conscription. The physical examination classified him as fit class A. He returned to Mercedes waiting to be called. Tired of waiting, he presented himself to the 6th Infantry Regiment. He was taken to the Olivera training camp on National Route No. 5 where he made contact with First Corporal Jorge Tolaba and with Section Chief Second Lieutenant Jorge Oliver. He performed a 45-day training demonstrating great ability to handle the 7.62 mm MAG heavy machine gun. Later he went to the Commando Company under the command of First Lieutenant Luis Linari and the Infantry Company B under First Lieutenant Raúl D. Abella. The latter assigned him to a column of vehicles led by Sergeant Romualdo Barrientos. Poltronieri also conducted training in General Acha (La Pampa). Every morning he managed to board the Unimog MB 421 to carry correspondence and supplies from the Barracks Surveillance Detachment Tuyuti to the Olivera cantonment. First sergeant Jorge Edgardo Pitrella handed Poltronieri a bag and provided him with a MAG. Colonel (Ret) War Veteran Esteban Vilgré La Madrid (57) – B Company Regiment 6 in Mount Tumbledown. He was decorated with the medal Al esfuerzo y la abnegación. He had command of 47 people. Seven died and two were injured. His grandfather and his mother, who is 97 years old, are British. He created the Military Rugby Union. Poltronieri left aboard a Unimog truck to El Palomar Air Base where he boarded a plane that would take him to the Malvinas. When they arrived, his unit started marching to Moody Brook towards the barracks of the Royal Marines. The geographical situation was as follows: At North Mount Kent with the Murriel River, Mount Longdon to East, Mount Tumbledown to the West and south the ocean and Puerto Argentino . Poltronieri and Horisberger organized the positions for their machine guns and received Litton night goggles and Thomson TRC 300 radios. Poltronieri volunteered for the First Blockade in Mount Challenger and then to Mount Kent. He volunteered in an incursion to Top Malo and participated in the preparation of an ambush at Murriel Bridge. 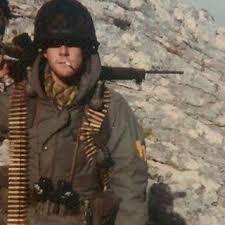 Poltronieri ´baptism of fire came as a machinegunner in support ofthe 7th Infantry Regiment(Mechanized) Coronel Conde. On June 12 at 10pm soldier Delfino (also from Mercedes) approached: the English had conquered the positions of the 4th Infantry Regiment and were encircling their position. The head of the second section, Second Lieutenant Aldo Eugenio Franco, was to be the chief of the combat rearguard that would cover the bulk of the company. The last thing that Polotronieri saw in the light of the flares was his boss Jorge Roberto Biderbost and others attending soldiers Hector Antonio Guanes (Paraguayan) and Daniel Tode who had fallen under fire. Poltronieri fired until he was ordered to retreat. He reached Mount Tumbledown and found out that Hector Antonio Guanes had bled to death (praying to the virgin of Caacupé) despite the tourniquets and the assistance of ¨medical soldier¨ Goñi. 22.33. Poltronieri met his section and occupied a position near Sapper Hill. The following day was unbearable cold. He asked General Oscar Luis Joffre for gloves which were later provided. British naval and terrestrial artillery shelled the area and there was intense activity of British helicopters on the slopes of Mount Kent. The section chief informed them that they would march to the position of the Nacar Company of BIM 5. They were guided by Marine Corps Sub lieutenant Waldemar Rigoberto Aquino and a soldier. Then everything happened very fast. Poltronieri shot and the British tried to beat the position with anti-tank weapons LAW, TOW and MILAN missiles but Argentines wouldn´t yield. Poltronieri was with La Madrid and Horisberger when they received fire. Horisberger received a shot in the chest and died 30. 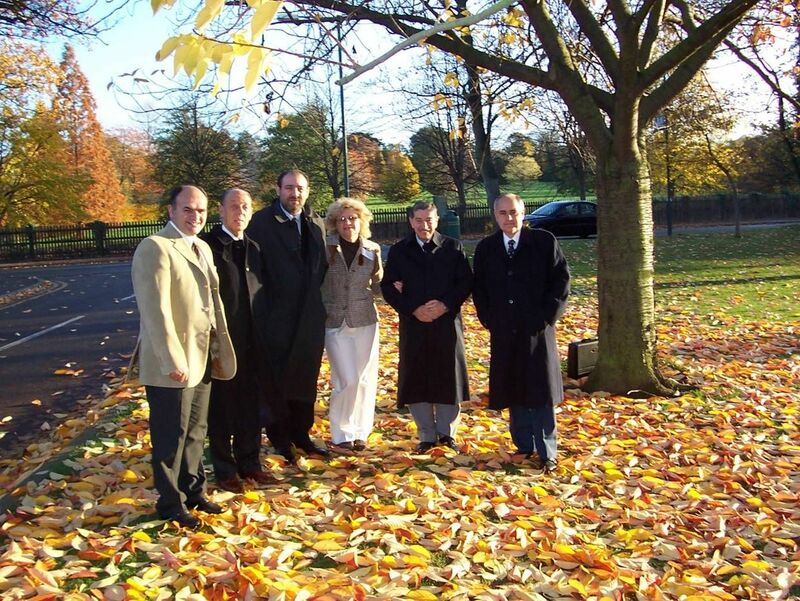 Poltronieri saw several comrades fall: Néstor Osvaldo Gómez, Daniel Ricardo Ramos, Juan Antonio Duarte, Arturo Ricardo Pedeuboy, Pedro Francisco Adorno, Delfino and others. The second lieutenant ordered them to leave the position. The men set off but they still had to cross a small valley shelled under fire. Oscar presented himself voluntarily to protect the retreat of the few men who were standing and remained with Second Lieutenant Robredo and Sergeant First Corvalan until the last one had crossed the death zone. Commanded by Captain Michael E. Barrow RN, she fired 261 large-caliber projectiles against the men of Second Lieutenant Marcelo Llambías Pravaz.The HMS Glamorgant was consequently hit by an Exocet missile on June 12 at 6:37 am by an Exocet MM-38 launched from the ground by a battery commanded by the Commander Julio Marcelo Perez. Captain Carlos Alfredo López Patterson took charge of the defenders in Dos Hermanas. In order to strengthen morale and keep defenders informed, Captain Lopez Patterson regularly visited the squads at great risk to himself due to the fire of the British artillery. The Infantry Regiment 4 of Lieutenant Colonel Diego Alejandro Soria occupied Mount Kent, Mount Challenger and Mount Wall . Company C of Captain Edgardo Humberto Marpegan occupied new positions in Two Sisters (13 km from Puerto Argentino). The defenders would come under the command of Major Ricardo Mario Cordón, second chief of Infantry Regiment 4. The 1st Group (Second Lieutenant Miguel Mosquera) and the 2nd Group (Second Lieutenant Jorge Pérez Grandi) were stationed around the northern of Two Sisters summit and the 3rd Group (Sub-Lieutenant Marcelo Alberto Llambías Pravaz) occupied the southern Two Sisters summit . The 1st Group of Company A (Second Lieutenant Juan Nazer) and the Tactical Reserve (Second Lieutenant Luis Carlos Martella) were located in the saddle between the two heights. Note: The Mechanized Infantry Regiment 6 from Mercedes moved to the Malvinas Islands in April 1982 under the command of Lieutenant Colonel Jorge Halperin and relieved the Infantry Regiment 25 in the western sector of the position initially assigned to this unit in Puerto Argentino . The Infantry Regiment 6 participated in the last offensive action carried out by the land component of the island. The British M & AWC ( Mountain And Artic Warfare Cadre), patrolled Two Sisters and saved many British lives. On June 9th Lieutenant Joseph Wassell and Sergeant Fraser Haddow´s patrol discovered with their binoculars (from their observation post at Goat Ridge), the powerful explosive traps in the form of barrel mines buried by Company B of Major Jaimet, with the intention of detonating them by remote control when the British attack their positions. This lasted between twenty and thirty minutes, so it was quite a long fight, until it culminated with the withdrawal of the enemy. In particular, I would say that we beat them. As we had coordinated the artillery fire, Major Aldo Rico ordered our guns to fire and our shots began to fall on the retreating enemy. We ordered them to open their range as the British retreated, that is, we would chase them with cannon fire. I appreciate that many British must have died that night because the fire from our artillery was tremendous. June 11 (04.00 Argentine time) at dawn began with an intense enemy naval fire on the Argentine positions in the Mount Two Sisters. It lasted throughout the day, accompanied by great aerial activity and the action of the ground batteries. The British began the march to dominate the heights that surround Puerto Argentino: Mount Kent, Mount Harriet, Two Sisters, Mount Tumbledown and Mount Longdon. Captain Ian Gardiner's X Company led the attack on Two Sisters, accompanied by Wynne Jones a Chaplain trained as a comando.. The troop of Lieutenant James Kelly and Sergeant George McMillan took the lower part of the Two Sisters South (Long Toenail), with no fighting taking place. At 11pm, Lieutenant David Stewart and Sergeant Peter Jolly´s forces received heavy fire and, although they were supported by Captain Steve Hughes (Antitank Squad with forty MILAN missiles) and the Machine Gun Squad of Sergeant Major Charles Bell (specially formed and equipped with seven light BREN machine guns, M72 LAW antitank rockets and night goggles), Stewart's men could not continue their advance towards Long Toenail. Rejected in their attempts to dislodge the 3rd Rifle Platoon, Troop 2 of Lieutenant Chris Caroe 4,24 and Sergeant George Matthews took charge of the advance and attacked the Argentine defenders with bayonets, but the attack was dispersed by fire of the Argentine artillery. Second Lieutenant Marcelo A. Llambías effectively operated a MAG machine gun and an Instalaza-M65 rocket launcher, wounding three British commandos. For almost four hours, the Royal Marines of Company X were immobilized on the slopes of Long Toenail. The other British support warships left for the San Carlos Strait to avoid being exposed in daylight. 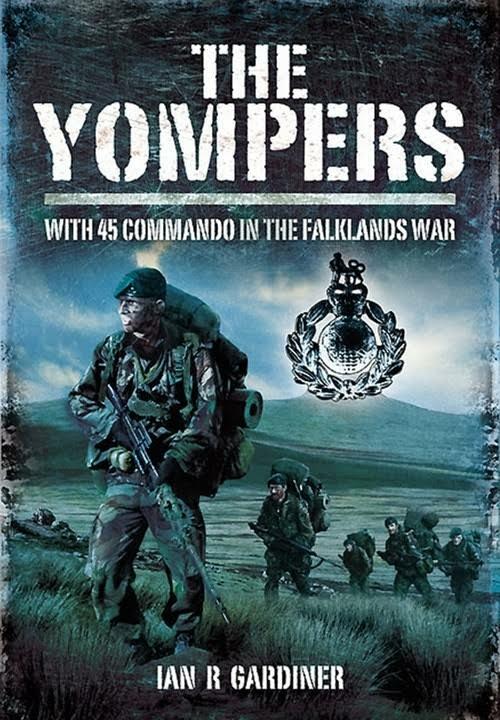 Note: Yomp is Royal Marines slang describing a long-distance march carrying full kit. The origin ofthe Word is unclear (one suggestion would interpret it as an acronym of Your Own Marching Pace). It was popularized by journalistic coverage in 1982 during the Malvinas war. With the loss of Two Sisters south, Second Lieutenant Llambías Pravaz and Corporal Pintos lead the remnants of the 3rd Platoon to new positions in Tumbledown and Sapper Hill, where they met with part of of Silva and Nazer´s squad. Second Lieutenant Llambías Pravaz would later prepare to join the men of Major Carlos Carrizo Salvadores who were preparing the defense of the Government House and the surrounding buildings, but it was canceled at the last moment. At around 00:30 (local time), the Yankee and Zulu Companies attacked Two Sisters north and manageed to seize it with the help of 1,500 British artillery 105mm projectiles from the British artillery that saturated the Argentine positions. The sub-lieutenants Mosquera and Nazer were wounded defending Two Sisters north and Sub-Lieutenant Luis Carlos Martella (son of Major General Santiago Luis Martella) lost his life protecting the retreat of his men. Second Lieutenant Jorge Pérez Grandi was seriously wounded leading his men to new positions when he was hit by British artillery fire. Pérez Grandi was placed under a truck as a cover and later that morning Corporal Nicolás Urbieta and two conscripts returned in search of their commander and took him to the hospital in Puerto Argentino. Corporal Virgilio Rafael Barrientos took charge of the remnants of Nazer's platoon and leads them to new positions on Sapper Hill. 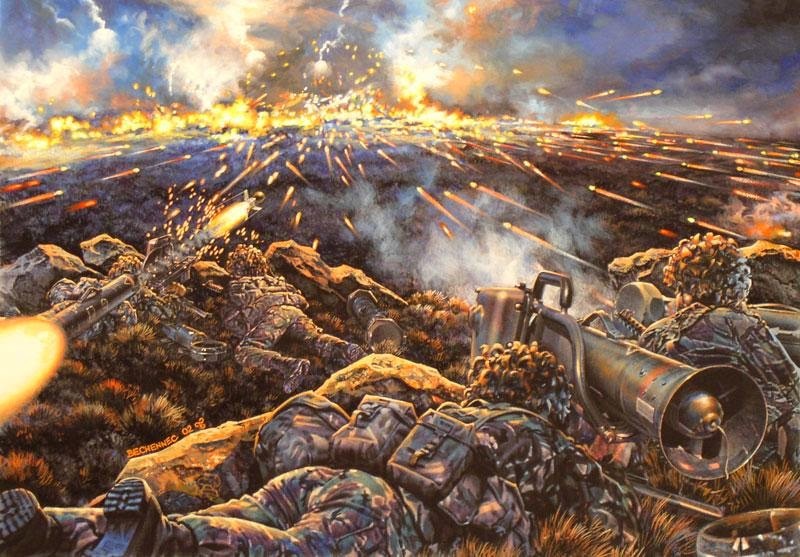 Meanwhile, the mortar support fire of Corporal Juan Antonio Barroso extended an impassable fire towards the valley of Two Sisters north, which allowed the evacuation and withdrawal of the Argentine fighters. Near dawn, Corporal Barroso and his last soldiers left his position on Two Sisters. He left behind the 120mm Thompson-Brandt mortars and near them the 3 British commandos killed by effective fire. The Argentine artillery fire in Two Sisters was directed, until the moment of withdrawal, by Second Lieutenant Eduardo Gavier Tagle. Poltronieri volunteered to cover the withdrawal of Franco and his men . Oscar stopped the advance of the Yankee Company with the precise shot of his machine gun and rifle. At 03:00 the Royal Marines entered the Argentine command post at Two Sisters north, capturing Major Ricardo Mario Cordón. Eight British Marines were killed, and 17 more were wounded (including an officer of naval artillery) in the fighting on the slopes of Two Sisters. Ten other British SAS / M & AWC commandos were wounded in clashes with Argentine command patrols protecting the retreat of Regiment 4 from Mount Kent to Mount Two Sisters and Mount Harriet. The British also lost 13 dead sailors and 17 injured when the cruise HMS Glamorgan was hit by an Exocet. Twenty Argentine soldiers died defending Two Sisters, including those killed in the patrols' actions and due to the British softening-up fire in the previous week and a half. Poltronieri says: I was in the Mount Two Sisters. Forward was Regiment 4 of Corrientes. On one side we had the 7th Infantry Regiment of La Plata. We spent all day in the trenches . Sometimes we would step down from the hill to kill a couple of sheeps, we boiled them and ate them straight out. A classmate of the lieutenant who sent me (whose name was Llambías Pravaz), lent me his binoculars and that´s how I saw the British landing. Few days passed from the landing till they got where we were. They surrounded us like this, in the form of a crescent. I was up on the mountain when I saw them, it would be five or six in the morning, in the midst of the fog. They killed three or four of our soldiers, all close to me: One was shot dead and fell near me. A splinter blew clean out his knee cap. He arrived at the Puerto Argentino hospital with intense bleeding. Other comrade was hit by a splinter in his back. And another one who climbed a hill to mount the machine gun was hit by a machine gun blast. That was Ramón, who was a friend of mine. I thought that if they had killed him they would kill me too. Why would I be saved ? It gave me like a madness attack and I began to shoot them with the MAG which is a heavy machine gun. My supplier was tired of feeding ammunition belts to the MAG, but I kept pullingthe trigger. It was about nine in the morning. The bullets were passing me by: the traces could be seen clearly. The second lieutenant told me: "Let's go Poltronieri, they're going to kill you ..." But I told them to leave. Because I knew that Sergeant Echeverria had had family in those days. Then I told them: Go away, you have children, you have a family. I have nobody. After resisting the enemy advance, Oscar moved to Mount Longdon, where at night he met with soldiers of various regiments from the Navy and Army. "There I did a repechaje (an additional action) . I met a Marine Corps Lieutenant with whom we made the advance. I was walking forward and my comrades behind . I heard a voice then that was not ours. I told the officer that the British were firing shots and drinking whiskey, and he threw a grenade at them.They fired back and hit him. It´s been 30 years and I haven´t seen him ever since but I was told he is alive. We came under lots of effective fire from 0.50 caliber machine guns. At the same time mortars were coming down all ove rus, but the main threat was from those machine-gunners who could see us in the open because of the moonlight. There were three machine-guns and we brought down constant and effective salvoes of our own artillery fire on to them directly, 15 rounds at a time . There would be a pause, and they´d come back to us again. So we had to do it a second time, all over their positions. There´d be a pause, then ´boom, boom, boom`they´d come back at us again. Conscripts don´t do this, men who are badly led and of low morale don´t do this. They were good steadfast troop. I rate them high. Lieutenant Clive Dytor joined the Royal Marines two years before the conflict after graduating from Cambridge. He witnessed the ferocity of the battle at Mount Two Sisters. 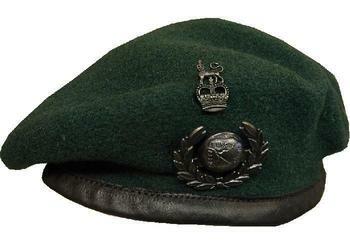 He was decorated with the Military Cross for his performance commanding Troop 8, Zulu Company of the 45 Commando. Dytor reported that the worst part of the war was on board the HMS Intrepid in the Bay of San Carlos in the so-called Bomb Alley. As for the fight in Two Sisters, he said that they were on a hill in the worst possible position. The enemy opened up with a .50 Browning heavy machine gun, they were shooting at us with everything they had. Within minutes, the Royal Marines lay dead and another was seriously injured, his leg blown off by a mortar round. Dytor was educated at Christ College, an Anglican boarding school in Brecon, Wales. He was always a religious man. Four years after the conflict he entered the priesthood at Wycliffe Hall, Oxford as chaplain of the Tonbridge School (founded in 1553) in Kent. The war he said, contributed to his conversion to Catholicism. Dytor thinks that the conversion process began in the theological college when he read the autobiography of Cardinal John Henry Newman (1801-1890) and his spiritual journey from the Church of England to Rome. "If you do not let me in, I will smash everything. I ´ve just came from the war and I find my mother lying in a bed because you told her I was dead, and I'm not dead, I'm alive. " As they did not come to reason, I went down stairs and entered the room just when a nurse was about to give her an injection. "Do not give anything," I said, "do not give her any injection, the injection is already here, here I came, she feelsbad because of me." Note: Juan Carlos Mareco(1926-2009)known as Pinocho(Pinocchio), was a radio and televisión host, comedian, singer, writer, composer and Uruguayan actor based in Argentina where he made most of his career. Note: In Argentina a remise is a chauffeured car of an agency at standardized rates .It´s not a Uber. 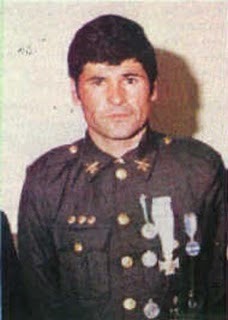 Poltronieri was decorated on April 4, 1983 with the Cruz La Nación Argentina for heroic courage in combat. (Law 22,607 (1982) and law 24,229). This last is awarded for Acts of Heroic Courage in action under dangerous circumstances. 8. He is the only living soldier who received it. 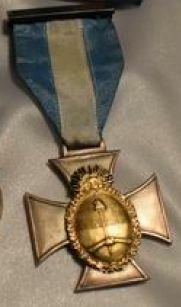 The other soldier conscript recipient of this highest decoration belonged to the Marine Corps 5th Battalion (BIM 5), Félix Ernesto Aguirre who was KIA. The text reads: For his combat actions during the battle of Mount Two Sisters, where he was the operator of a machine gun. He ignored the withdrawal order and stayed fighting alone thus allowing the retreat of all his companions to safe areas . He grappled with the enemy with his single source of fire, preventing the whole British offensive device from advancing. Contrary to some opinions 5 the Malvinas war history definitively made a big impact in the Argentine schools. 15,35. The National Education Law 26,206 enacted in 2006 affirms in its article 92 that the learning of the cause of recovery of our islands will be part of the curricular contents common to all jurisdictions. Mark Curtis is a Royal Marine of the 42 Commando who lost a foot stepping on an anti-personnel mine in Mount Harriet (June 11). 31 He has now found inner peace through meditation. 26. In 1984 Curtis met Poltronieri in Paris and they became friends. Poltronieri says: ¨ I have been given (by the British) a Royal Marines´beret and it is the most important thing I kept after the war. I have an English enemy who came four times to see me in Argentina and the last one was to celebrate my birthday. I wonder how we see ourselves as a society in the mirrow when we analyze the history of this man (and other war veterans)and the reception we´ve given him since the war. 1-Amato, Alberto-La última batalla del héroe más condecorado de Malvinas: llevar toneladas de comida a los pobres del Chaco.Clarín-3 de diciembre de 2016. 2-Armando, Rubén-El héroe reconocido por ingleses-La Opinión-29 de marzo de 2017. 3-Aure, Ricardo-Oscar Poltronieri-Instinto y Sentimiento-La Nueva.-8 de diciembre de 2013. 4-Batalla del Monte Dos Hermanas-Wikipedia. 5-Bonasegna Kelly, Cristina-Argentines reassess their role in decade-old Falklands ´mistake´. The Christian Science Monitor-Apr 14, 1992. 6-Cociffi, Gaby-Nosotros peleamos dos guerras: Una en Malvinas y otra peor al regresar-Infobae-30 de marzo de 2017. 7-Craig,Olga-'We don't need food, just ammunition - and tons of it'-The Telegraph -24 Mar 2012. 9-El héroe más condecorado de Malvinas que fue olvidado y sigue luchando por todos-Misiones Online-29 de marzo de 2018. 12-El soldado argentino que detuvo un pelotón inglés en Malvinas. Areco Noticias-3 de junio de 2016. 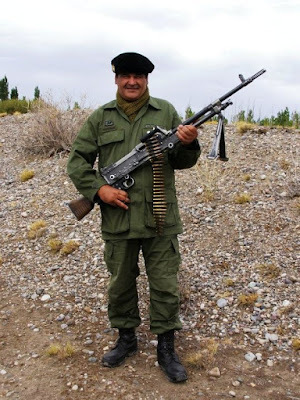 13-El soldado más condecorado de Malvinas vive en la pobreza y no tiene trabajo-Clarín-2 de abril de 2012. 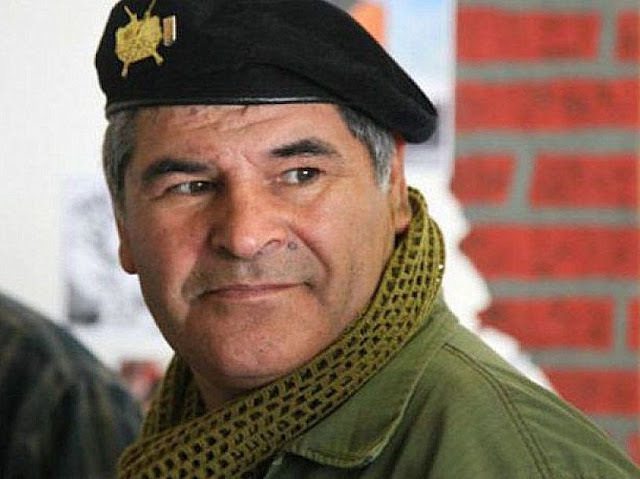 14-El veterano de Malvinas Oscar Poltronieri brindará una charla en el Concejo Deliberante-La Voz-30 de septiembre de 2017. 15-Eulich,Whitney- Falklands War 30th Anniversary: 5 British and Argentine papers react-The Christian Science Monitor-April 2, 2012. 17-Fernández Vivas, Leandro-Oscar Ismael Poltronieri, un héroe de Malvinas, un héroe de la Patria.Nac&Pop-2 de abril de 2012. 19-Gardiner, Ian-Fighting.The Battle of Two Sisters-The Yompers - With 45 Commando in the Falklands War-Warfare-17 Apr 2012. 20-Gilbert, Jonathan-Falklands War: Why the battle continues 30 years later-The Christian Science Monitor-April 2, 2012. 21-Grasso, Agustina-Como viven los quom en El Impenetrable-El Observador-12 de septiembre de 2015. 22-Guerra de Malvinas-Regimiento Mecanizado 6.La Perla Austral. 23-Guillan, Audrey-After a bloody battle a Royal Marine found an enemy camera. 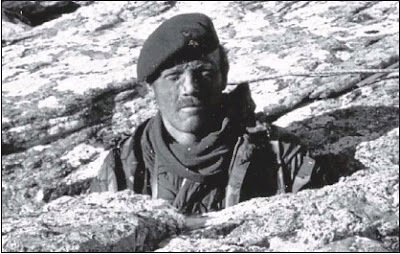 Thirty years later Nick Taylor tracked down the Argentine soldier in the pictures-Mail Online 17 Mar 2012. 24-Holmes, David-Ex-marine Chris Caroe from Chester recalls the Falklands War-The Chester Chronicle-5 Apr 2012. 27-Malvinas: campaña para que las escuelas enseñen quién es el héroe argentino reconocido incluso por los ingleses-Noticias-31 de marzo de 2018. 28-Malvinas en las escuelas: Una materia pendiente-Clarín 8 de abril de 2007. 30-Nuñez, Sergio y Castillo,Ernesto-Un héroe todos los héroes-La Nación-23 de abril de 2011. 32-Rayment, Sean-Falklands War hero explains why he entered the church after being awarded the Military Cross-The Telegraph-25 Mar 2012. 33-Serra, Alfredo-Malvinas: Los recuerdos de guerra de un subteniente que lucho junto a 47 heroicos soldados en la sangrienta batalla final.Infobae-14 de junio de 2017. 34-Soldado Conscripto Oscar Ismael Poltronieri, un héroe viviente-Municipalidad de Escobar-30 de marzo de 2018. 36-Tomino, Pablo-Poltronieri: Un héroe de Malvinas que se emocionó en la Bombonera-La Nación- 8 de abril de 2012.